Hot Stone Massage sets (basalt) and Cold Stone Massage sets (marble). We supply the highest quality basalt massage stones and marble massage stones for all Stone Therapy applications. Basalt is the traditional stone used for Hot Stone Massage, as it is very dense and holds heat extremely well. Marble is the traditional stone used for Cold Stone Massage (cryotherapy). Our carved basalt massage stones are guaranteed for 12 months against chipping and breakage! 8 carved marble stones	This stone set is great for incorporating Cold Stones into any style of massage	Symmetrically paired for comfortable and easy use. These marble stones can be used to incorporate Cold Stones into your Stone Therapy treatments. Great for facials and pedicures, as well as sport..
8 carved basalt stones	This stone set is great for incorporating Hot Stones into any style of massage	Symmetrically paired stones for comfortable and easy use. 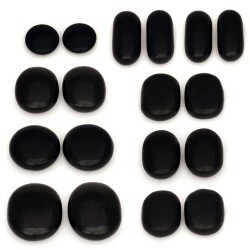 A combination of of rounded stones and flat stones that are mainly suitable to use as Working Stones (some of the larger stones could also..
8 carved basalt stones	This stone set is great for incorporating Hot Stones into any style of massage	Symmetrically paired stones for comfortable and easy use. Mainly rounded stones that are suitable to use as Working Stones. These basalt stones are used to massage the Legs in the Hahana Hot Stone..
17 carved basalt stones	This stone set is great for warming muscle groups before massage	Symmetrically paired for comfortable and easy use. A combination of of rounded stones and flat stones that are mainly suitable to use as Placement Stones (some stones could be used as Working Stones). These ba..
12 carved basalt stones	This stone set is specifically designed for the remedial therapist	Symmetrically paired for comfortable and easy use. Suitable for Remedial Hot Stone Massages and use on smaller areas (ie. back, legs, etc). Stones included:	2 x Large (Working) Stones (9.5cm x 7.5 cm ..
18 carved basalt stones	This stone set is great for incorporating Hot Stones into any style of massage	Symmetrically paired stones for comfortable and easy use. A combination of of rounded stones and flat stones that are mainly suitable to use as Working Stones (some stones could also be used as Pl..
35 carved basalt stones (with a FREE Set of Mesh Bags)	This stone set is ideal if your are purchasing the new Hahana Practical Training DVD	Symmetrically paired for comfortable and easy use.  A combination of of rounded stones and flat stones that are suitable for use as both Placement Stones an..